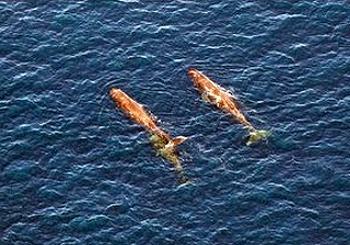 NEW ORLEANS, Louisiana, May 15, 2013 (ENS) – The U.S. federal agency that oversees offshore oil exploration will analyze the effects of noisy underwater seismic blasts on whales and dolphins in the Gulf of Mexico. The Bureau of Ocean Energy Management, a bureau of the Department of the Interior, and NOAA Fisheries, a part of the Department of Commerce, announced May 9 that together they will assess the effects of the seismic surveys used to find oil under the seabed. The agencies plan to publish their findings in an environmental impact statement in mid-2014. A coalition of conservation groups sued the Department of the Interior in 2010 for failing to examine the impacts of seismic surveys on whales and dolphins. That lawsuit, filed by the Natural Resources Defense Council, Center for Biological Diversity, Sierra Club, and the Gulf Restoration Network, remains active in the Eastern District Court of Louisiana. The BOEM plans an environmental impact statement that will assess the potential environmental impacts of deep-penetration and high-resolution seismic surveys, electromagnetic surveys, magnetic surveys, gravity surveys, remote-sensing surveys and geological and geochemical sampling. These activities provide information about the location and extent of oil and gas resources, bottom conditions for oil and gas or renewable energy installations, and locations of sand and gravel for coastal protection and restoration. The information gathered from these surveys are used for business decisions about exploring for and developing offshore oil and gas resources, assessing sites for offshore renewable energy, and locating marine mineral resources. But the conservationists contend the noisy surveys cause suffering for whales and dolphins. Seismic exploration surveys use arrays of high-powered air guns that generate the loudest human sounds in the ocean short of explosives. Day and night, for months at a time, large areas of the Gulf of Mexico are permeated with high-intensity sound pulses 250 decibels or more. The groups say these blasts are many times more intense than the noise levels known to compromise feeding, breeding, and basic communication in endangered species of whales. “The blasts, which can reach more than 250 decibels, can cause hearing loss in marine mammals, disturb essential behaviors such as feeding and breeding over vast distances, mask communications between individual whales and dolphins, and reduce catch rates of commercial fish,” the groups said in a joint statement. “Whales and dolphins in the Gulf depend on sound for communication and finding food, but these blasts, sometimes as loud as an explosion, make it all but impossible,” said Miyoko Sakashita, oceans director at the Center for Biological Diversity. “I’m happy that the government is finally scrutinizing these underwater sound explosions, but it shouldn’t stop there. 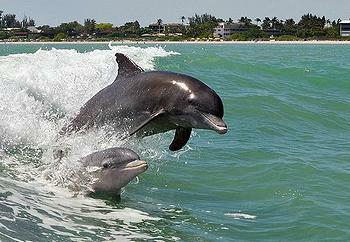 We simply have to do whatever’s needed to protect the Gulf’s sensitive wildlife,” said Sakashita. The BOEM and its predecessor, the Minerals Management Service, have allowed exploratory seismic surveys to go ahead without permits. The groups contend this omission violates the Marine Mammal Protection Act and the Endangered Species Act. Marine mammals in the Gulf of Mexico suffered through the BP Deepwater Horizon oil spill that lasted over three months in spring and summer of 2010. The groups say they should not have to endure the disruption of seismic blasts. The environmental review of seismic surveys in the Gulf of Mexico is being prepared in anticipation of future permits for oil exploration surveys and also for regulations under the Marine Mammal Protection Act. BOEM and NOAA Fisheries will conduct public scoping meetings to solicit input on the scope of the proposed environmental impact statement. Silver Spring, Maryland: Thursday, June 20, National Oceanic and Atmospheric Administration, 1305 East-West Highway, Silver Spring, Maryland; at 1:00 p.m. EDT. The scoping meetings are a part of the planning process that encourages federal, state, and local government agencies, as well as other interested parties to assist the federal agencies in determining significant issues and alternatives for analysis. The agencies are also accepting written public comments through the regulations.gov web portal at: http://www.regulations.gov. Search for “Geological and Geophysical Exploration Activities on Federal and State Waters of the Gulf of Mexico” (include the quotation marks in your search terms). Click on the Comment Now! button and enter your comment, then click Submit; or simply email a comment to: gomggeis@boem.gov.